Khartoum(ANN)-Sudan’s President Omar al-Bashir has picked a new intelligence chief amid a widening crackdown on protests against price hikes. The official news agency, SUNA, published a decree by Bashir on Sunday which said Salah Abdallah Mohammed Salih was appointed as the head of the country’s National Intelligence and Security Service (NISS). Salih replaces Mohammed Atta, a powerful official who served in the post for nine years. The new chief, who is also known as Salih Ghosh, is seen as one of Bashir’s closest allies since the strongman took power in a coup in 1989. Salih was sacked as NISS chief in August 2008 and was put in jail on accusations of plotting a coup against Bashir. He was later pardoned when no evidence was found against him. Before returning to NISS, Salih was a lawmaker for the ruling National Congress Party. Experts say by re-appointing Salih as the head of NISS, Bashir is seeking to shore up the leadership in a powerful security agency that suffered during the time of Atta. Many, including journalists and rights activists were jailed under Atta while he stepped up the overall crackdown since protests against rising food prices began in early January. His agents are believed to have broken up rallies held in Khartoum and some other parts of the country while several senior leaders of opposition groups have been arrested to prevent the protests from spreading. Some have designated the scale of arrests of journalists and confiscation of newspapers this year as unprecedented, saying security forces detain any journalist they can catch. 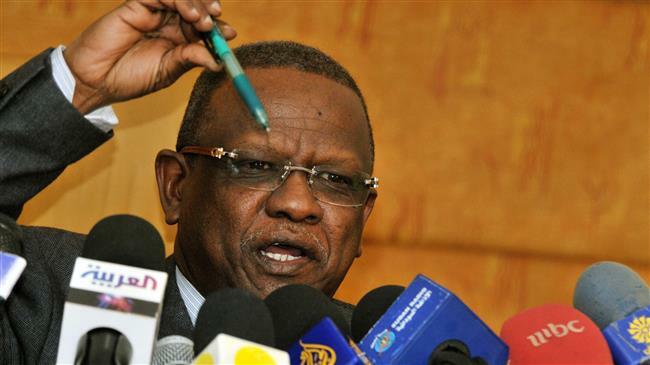 Atta’s removal from NISS came shortly after he returned from a high-profile security meeting in Cairo.